Our universe is full of mysteries, exploring which is great fun even for kids. This article on space facts for kids gives an outline of the marvelous phenomenon in the Universe. Space is a collection of different cosmic bodies like galaxies, stars, planets, natural satellites, asteroids, comets and so on. Galaxies : The universe, which is believed to have born some 13 million years ago, is home to an unknown and immense number of galaxies. The most widely accepted theory on the evolution of the universe is the big bang theory, according to which the universe has been expanding since its conception. The massive explosion in the extremely hot primordial cloud resulted in the formation of galaxies. 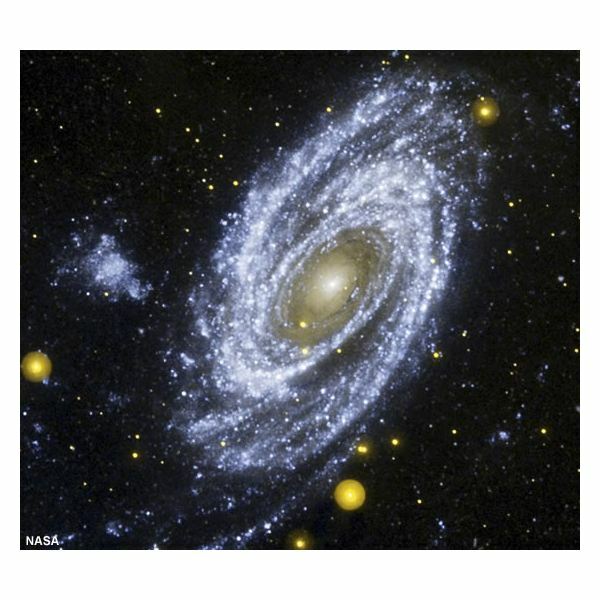 There are three types of galaxies, namely, elliptical, irregular and spiral galaxies, which differ in their shapes. Black holes are found to occupy the centre of galaxies. They are powerful enough to prevent the escape of even a single ray of light from themselves. They just devour anything which moves close to its boundary. The solar system is part of the spiral galaxy called the Milky Way. Three galaxies are visible from the Earth without the help of telescopes. They are Andromeda galaxy, which can be observed from Northern Hemisphere, Large Magellanic Cloud and Small Magellanic Cloud which are visible from Southern Hemisphere. The Milky Way is home for millions and millions of starts and sun is just one of the stars among them. The solar system was formed some 4.6 billion years ago and since then the sun is burning. Nuclear fusion inside the Sun’s interior is responsible for the huge amount of energy it produces. Our solar system consists of eight planets which revolve round the sun. They are the Mercury, Venus, Earth, Mars, Jupiter, Saturn, Uranus and Neptune. These planets, with the exception of mercury and Venus have natural satellites which rotate round them. Moon is the natural satellite of the Earth. Asteroids are small rocky objects which were formed at the same time as the Solar system. They are basically the left over particles from the big bang, which resulted in the formation of solar system. Most of these asteroids are found in the Asteroid belt which is between the orbits of the Jupiter and the Mars. Ceres is the largest and the first asteroid ever discovered. The collision of the Earth with one of these asteroids is believed to have caused the mass extinction of the dinosaurs from the face of the Earth. Those stellar bodies which are so small they are considered an asteroid can become another group called meteors. The asteroids which move closer to the Earth are attracted by its gravity. But upon entering the atmosphere they catches fire, due to friction with the air, and thus illuminate the sky. Then these asteroids are called meteorites or shooting stars. The branch of science which deals with its study is called Meteoritics. Comets are yet different group of cosmic bodies which appear to grow in size when they approach the sun. They are composed of rock, dust and ice and follow the sun in an elliptical orbit. As one moves closer to the sun, the ice vaporises, leaving a tail which glows in the radiation from the Sun. This brilliant sight is visible to observers on the Earth. 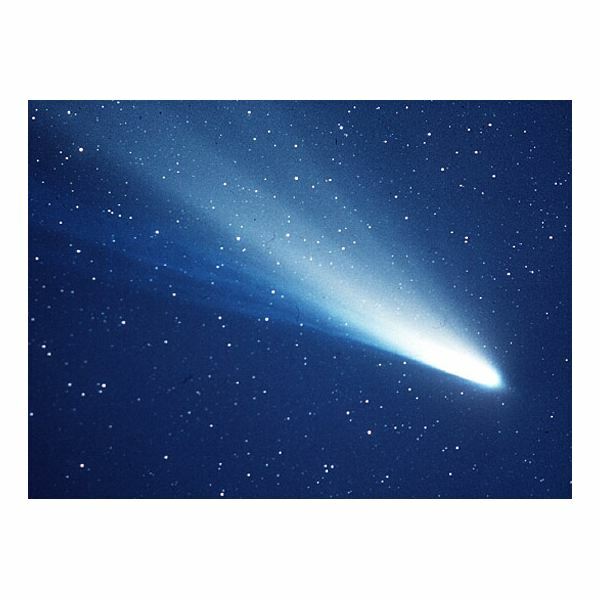 One famous comet is the Halley’s comet which visits the Earth in every 76 years. The image above is that of Comet Halley. There are a lot more hidden truths behind the universe which are yet to be solved. Space science is a fast evolving branch of science, primarily due to the large number of space exploration missions which different nations are conducting. Even after years of search scientists have yet to find evidence for life in another part of the Universe.